It is obtained by pressing and / or solvent extraction of seeds native from the Mediterranean area, but nowadays it is worldwide distributed and extensively exploited globally the bushy plant castor (Ricinus communis). The seeds contain ricin, a plant toxin that is easily removed due to their water solubility. 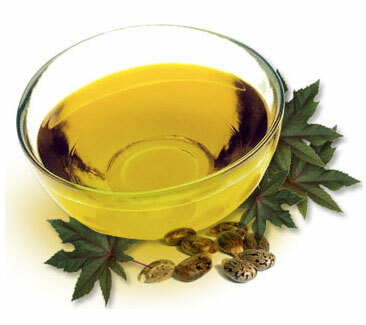 Castor oil is a pale yellow liquid at room temperature. It has a very distinctive smell and it tastes unpleasant. Multiple utilities has devoted castor oil as one of the star ingredients in a variety of industries that use oleochemicals. Ricinoleic acid, thanks to the peculiarity of the presence of the hydroxyl functional group, has a greater polarity than any other similar fatty acids, in addition to an obvious greater reactivity. Their applications and uses are diverse, including: soaps, lubricants, brake fluids, hydraulic fluids, paints, dyes, enamels, varnishes, coatings, plastics precursors, brighteners, among many others. The multiplicity of areas where we can apply castor oil stresses, therefore, the value and the strength that this substance has with its different purposes and uses. The oleochemicals constitute an alternative that is gaining more and more followers because of the versatility, quality and profitability it offers compared with substances and conventional means. Develop products and finished with natural substances is considerably cheaper but at the same time is more effective and thus opt for different oleochemical industries due to its versatility and the benefits it provides to consumers. The oleochemicals are a guarantee of quality, efficacy and also not damage the environment. They are an alternative that is consolidating increasingly harder thanks to the advantages it has. The oleochemicals are therefore ideal for treating and supplying different needs and shortages in all industries solution. Each and every one of the products we supply is contained in 180 Kg. drums, in containers of 850 Kg. or in bulk tanks. For more information please contact us through our web form or by telephone.